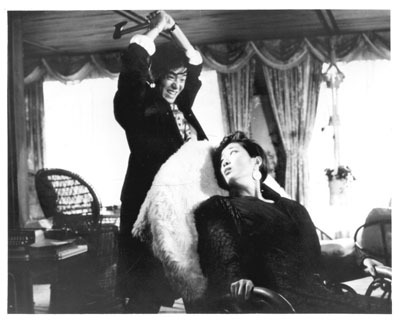 If you have ever read my blog, you know that I really prefer to focus on older Korean movies. When I heard about REVENGE WEEK, I initially thought I would track down some older movies with a revenge themed plot and write about them, and I still may. However, I was sidetracked by another thought. While trying to locate an appropriate film, I stumbled across a trailer for one of the movies I was considering – Janus, Lady of Fire. In this 1987 film directed by Kim Seong-soo, (not the Kim Seong-soo still directing today), Eun-ji arrives early at a cabin where she will be meeting her soon-to-be husband but is gang-raped while waiting for him. Upon recovering, she sets out to seek out her attackers and kills them one by one in creative ways. However, before dying, one of the rapists confesses that they had been hired by her boyfriend so Eun-ji gets herself a gun and sets out to commit one final killing.